Want a quick summer snack? Well . . . here ya go! Grab a package of 4 yogurt cups. I picked both Raspberry Chocolate, and Caramel Macchiato. 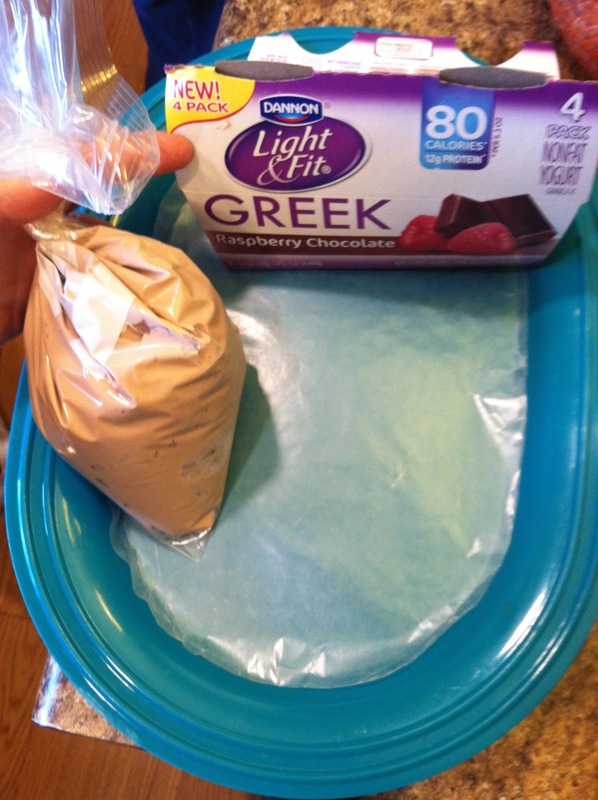 Scrape the yogurt from one package (four yogurt cups) into a gallon size bag. 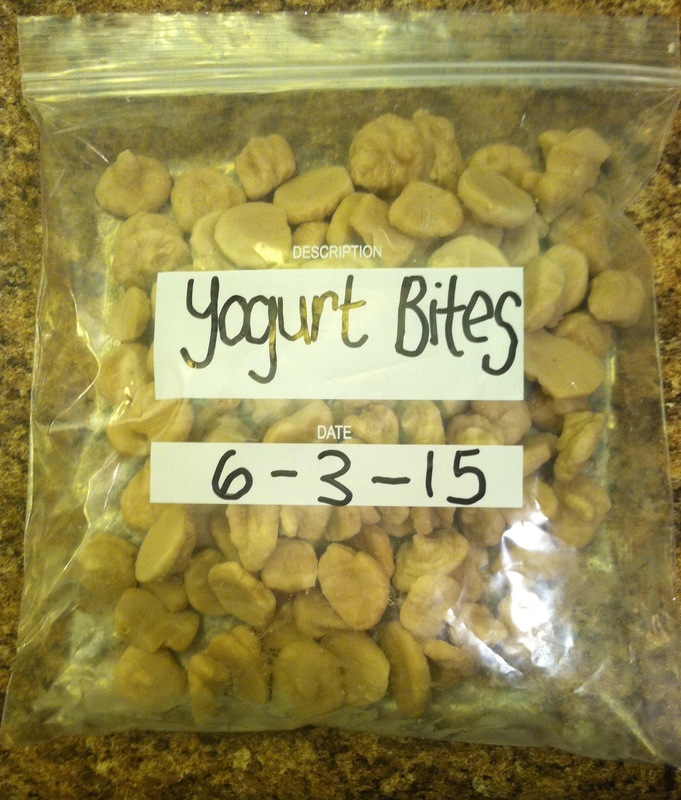 Cut the corner off of your bag and pipe quarter size dots of yogurt onto the wax paper. 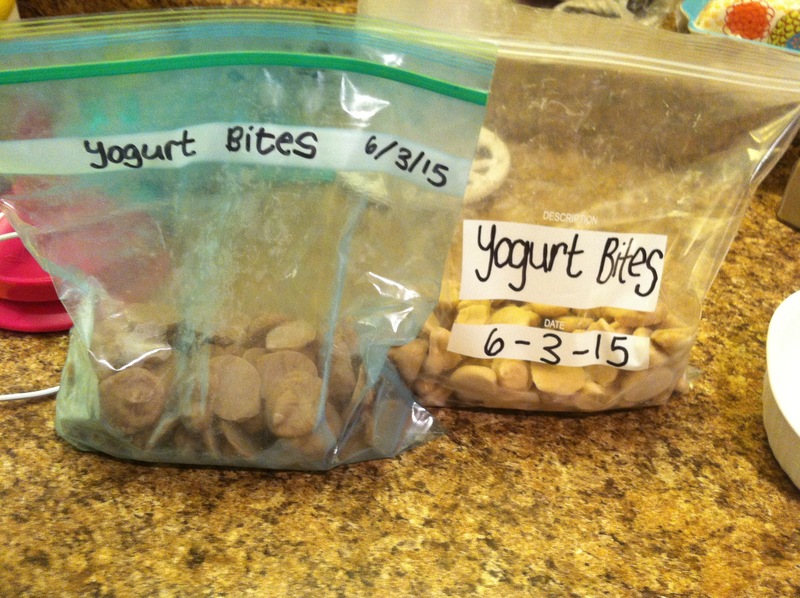 Once you’ve piped all your yogurt onto trays, put them in your freezer for about 30 to 45 minutes. 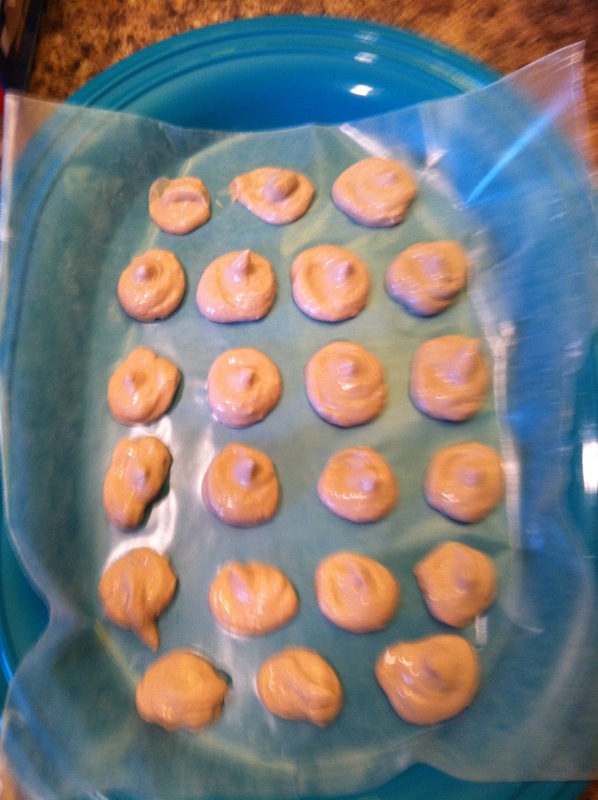 The Caramel Macchiato ones are below. I ended up with 120 of those. Posted in: Gluten Free Snacks, Recipes, Summer | Tagged: Easy Gluten Free Snacks, Recipes, Snacks, Summer!